Mid- and small-cap stocks are on sale, but is it time to buy? Author and investor Jim Slater states of large-cap companies, “elephants don’t gallop”. And as history shows us (see Chart 1) mid- and small-cap companies have enjoyed superior growth over the long term. Dr Andrew Dittberner, Chief Investment Officer, Cannon Asset Managers, warns of the danger of confusing “Big” with “Great”. Telkom Retirement Fund is calling for offers on the disposal of 10 fully-let commercial buildings comprising an entire precinct in the heart of Pretoria CBD in Tshwane. 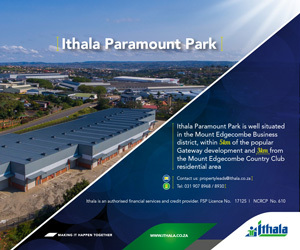 This Telkom property boasts an erf size of ±44 360m² of almost rectangular shape and reasonably level, developed land. Paved areas measures approximately ±24 000m². Online Auction of TELKOM Real Estate Portfolio Disposal, South Africa. GoIndustry DoveBid SA (GoDove) has announced the second phase of its contract awarded in 2013 to dispose of more than 60 Telkom properties nationwide. GoIndustry Dovebid South Africa has been awarded the tender contract to dispose of various parcels of land and buildings around the country on behalf of Telkom. Telkom says that it has concluded a roaming agreement with MTN South Africa. Nelson Mandela Bay will receive a cut of the extra R1,4-billion allocated for 2010 stadiums.